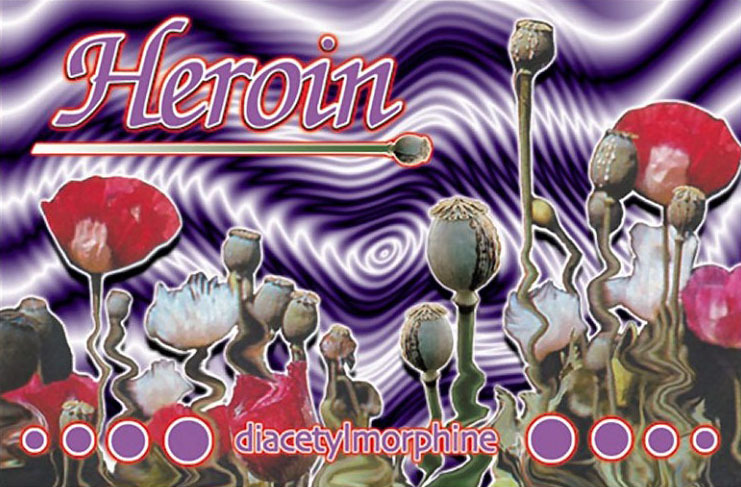 Heroin, or diacetylmorphine, is made from the opium poppy. It belongs to a class of drugs known as opiates, along with opium, codeine, morphine and many others. Opiates bind to opiate receptors in the brain. The body’s natural opiates are called endorphins. Heroin can come in a white or brownish powder (a.k.a., “China White”) or as a dark brown and sometimes sticky substance (a.k.a., “tar”). Heroin is most often injected, but it can also be snorted, smoked, or ingested orally. Heroin reduces physical pain, and can produce feelings of wellbeing, euphoria, and contentment. Heroin is a central nervous system (CNS) depressant, and can slow down breathing, heart rate and blood pressure. Side effects can include nausea, vomiting, drowsiness, slurred speech, constipation, and itchiness. An average dose of heroin can vary widely, based on purity, tolerance and route of ingestion. When injected, the effects are felt within a few seconds. When smoked, within a few minutes, and when snorted, within 10-15 minutes. The effects of heroin typically last 3-5 hours. Heroin is nearly always adulterated (“cut”) with other drugs. It is never pure. Very often heroin is cut with extremely powerful synthetic opioids such as fentanyl. Fentanyl and fentanyl analogs have dramatically increased the heroin overdose rate, resulting in thousands of deaths each year. 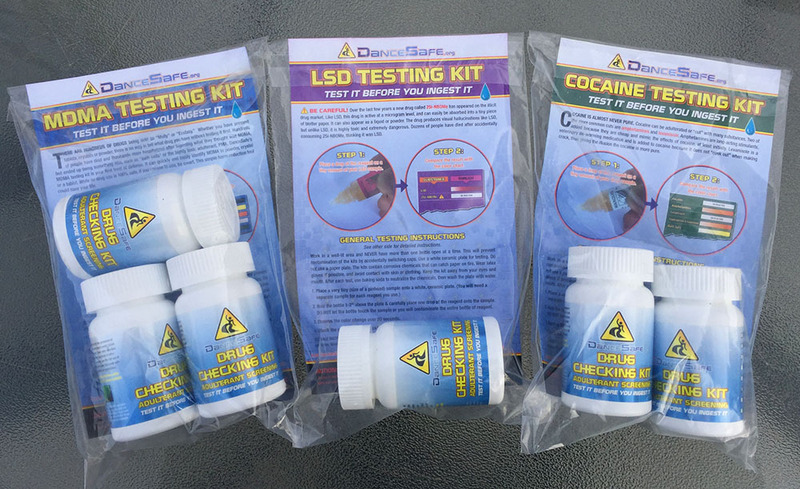 Test strips to identify fentanyl in heroin are available for purchase online at the DanceSafe website. Even when not cut with fentanyl, different batches of heroin can vary greatly in strength, making it one of the easiest drugs to overdose on, particularly when injecting. To prevent overdosing, many users will inject a small amount first (a.k.a., “a taster shot.”). However, this safety measure has become less effective because fentanyl and other synthetic opiates are rarely mixed evenly in any given batch of heroin. One part of a baggie may contain no fentanyl at all, while another part of the same baggie may contain a fatal dose. Mixing heroin with other drugs, particularly CNS depressants such as benzodiazepines, greatly increases the risk of overdose and death. Heroin has a high addiction potential. Withdrawal symptoms after long-term daily use are physically and psychologically painful, and can last for weeks. Sharing needles can spread diseases like HIV (AIDS) and Hepatitis. So can sharing cookers, filters, water or alcohol pads. Clean injection supplies can be obtained from syringe exchange programs and sometimes at a pharmacy. Injecting heroin can cause abscesses and bacterial infections. Use clean water when preparing to inject. Clean the injection site with an alcohol pad or antibacterial soap before you inject. Possession and sale of heroin are illegal and can lead to long prison sentences. Be self aware! If you choose to use heroin, having an intention is the best way to maximize the benefits and reduce the risks. Using multiple days in a row can lead to uncomfortable withdrawal symptoms that make it more difficult to remember your initial intention. If someone stops breathing, has no pulse, or turns blue call 911 immediately. Tell the operator they have stopped breathing and begin artificial (mouth-to-mouth) respiration. Naloxone (a.k.a. “Narcan”) is an effective overdose reversal drug available at CVS and elsewhere. Naloxone is administered either as intramuscular injection or as nasal spray. If you have naloxone available, administer it to the person overdosing immediately. It might take two or more doses of naloxone to reverse an overdose, particularly if fentanyl is involved.